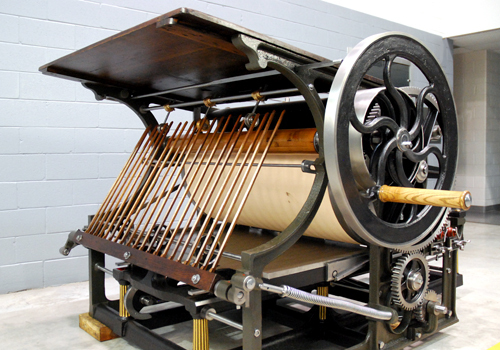 Cincinnati Type Foundry was a major builder of machinery by the 1860s. 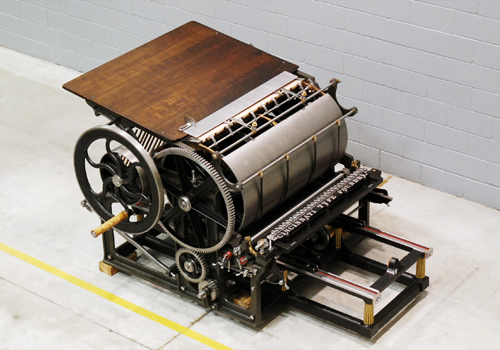 We have just completed the restoration of a very interesting example of the Country press or newspaper press – as it's sometimes referred. 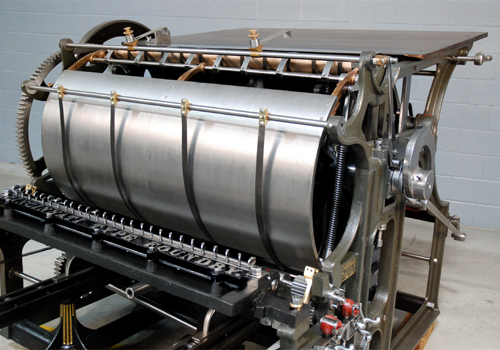 There were many press builders at the midpoint of the 19th century, such as Cranston, Potter, Taylor and Campbell along with the largest, Hoe - all constructed single-revolution cylinder machines of similar designs. Our press seems to date to the mid to late 1860s. It has a fly delivery and tapes, which was a rare thing back then. 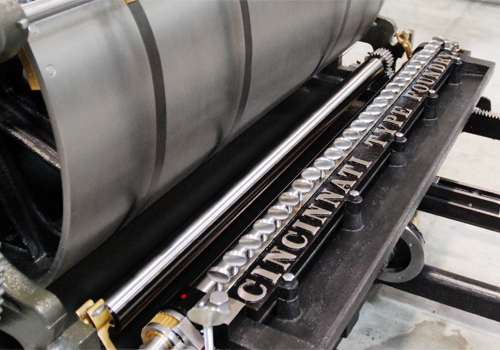 Constructed in a rather ornate fashion with fluted cast iron support legs, the Cincinnati was originally a hand operated press and would not have had steam fittings. 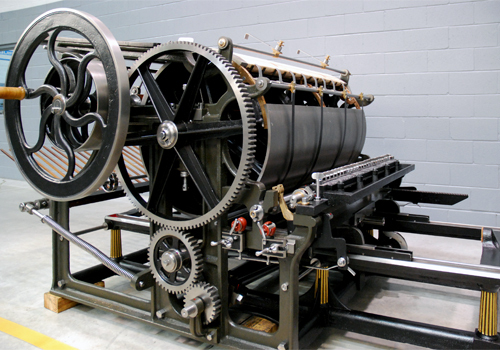 As with most machines of this age, “fast and loose” pulleys were added to allow a belt to drive the press. 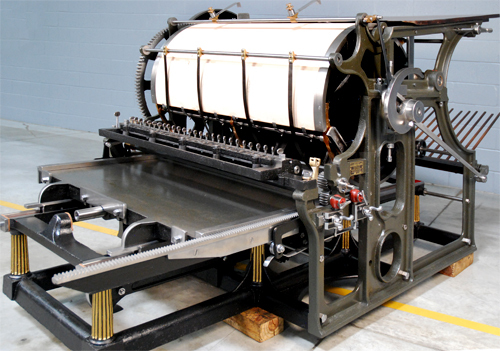 Designed primarily as a newspaper machine, but because of its size, the Cincinnati Type Foundry was probably used for a wide variety of printing other than just the news.